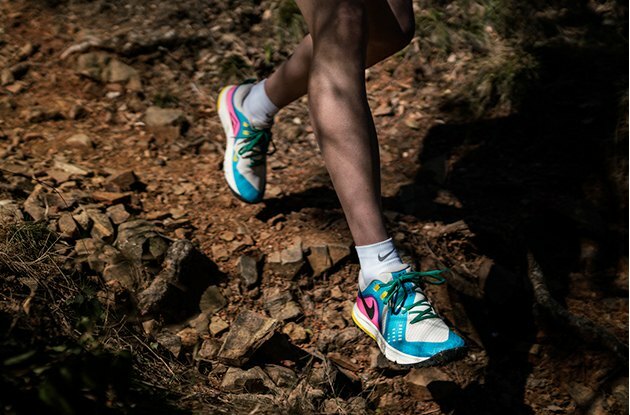 Created with different terrain in mind, the latest footwear collection from Nike Trail is our bests yet, serving a spectrum of trail needs. 1. Perforated mesh upper drains water and optimized breathability. 2. 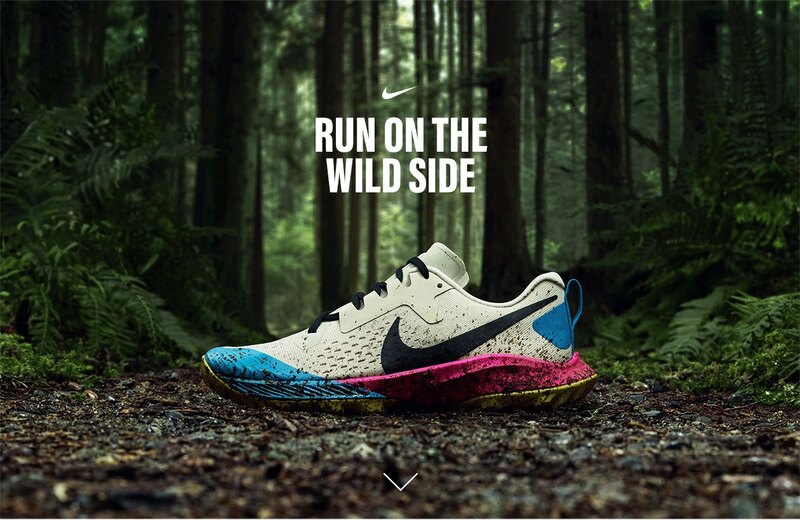 Zoom Air unit in the heel gives responsive cushioning. 3. 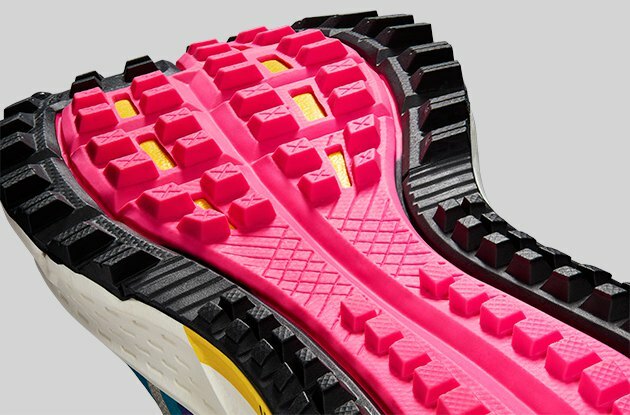 Sticky rubber pod on outsole delivers wet-surface traction. 1. Multi-layer mesh upper wraps your foot in lightweight breathability. 2. 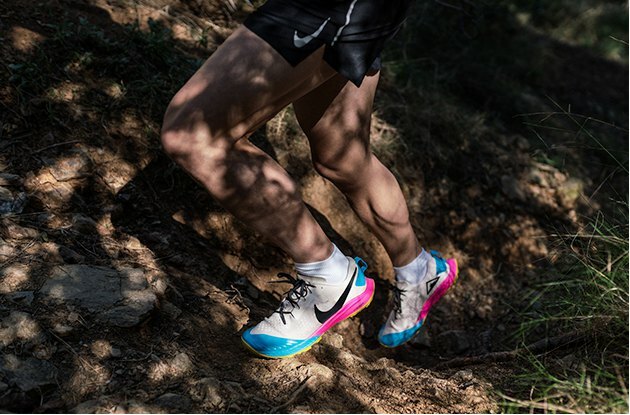 Rock plate in midsole helps shielf your foot from rough terrain. 3. 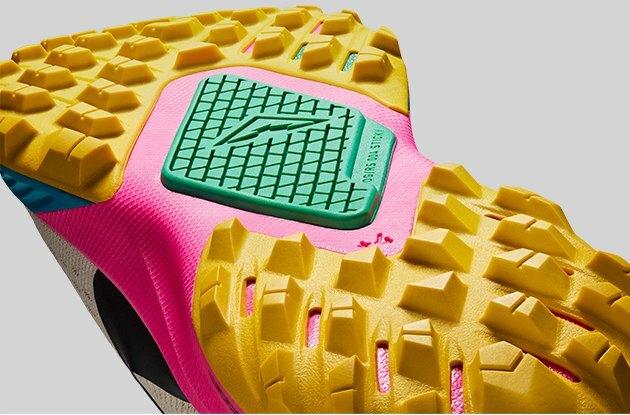 Grippy outsole lugs are made for mud shedding.